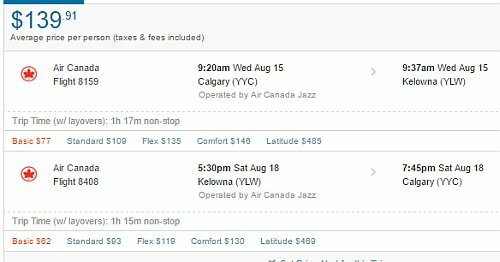 Air Canada has dropped the price of their July and August flights from Calgary to Kelowna, BC down to $139 CAD roundtrip including taxes. 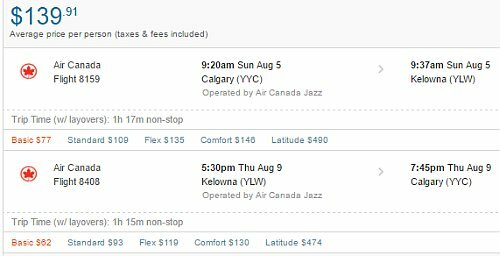 Vice-versa flights (Kelowna to Calgary) are also available for $139 roundtrip. calgary, yyc, flight deals, kelowna, british columbia, westjet, canada, bc and north america. 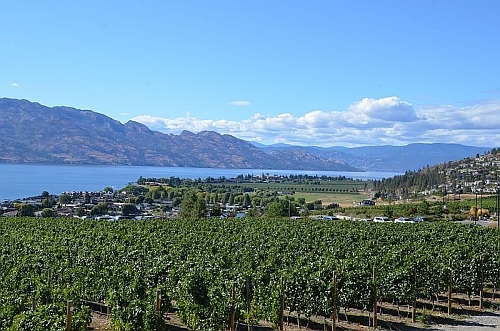 No Responses to "Calgary to Kelowna, BC (or vice versa) - $139 CAD roundtrip | non-stop flights in July and August [Air Canada]"